XPExplorer Windows 10 DPI Fix will help you fix the blurry fonts, text and images problem on your Windows 10 computer. 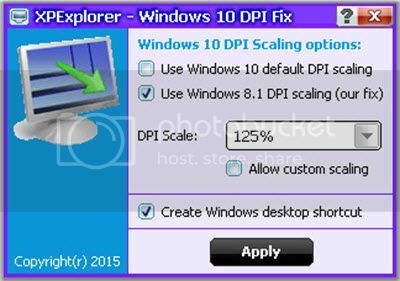 Windows 10 is using another scaling method for DPI as in Windows Vista, Windows 7, Windows 8 and Windows 8.1. And if this is causing blurred fonts, text and images on your desktop, use this free tool to fix the issue. Well thanks for that. This is exactly what I was looking for!